I bet you have felt this way some other time. I have felt this way quite often, last year, and decided to stop it cold. 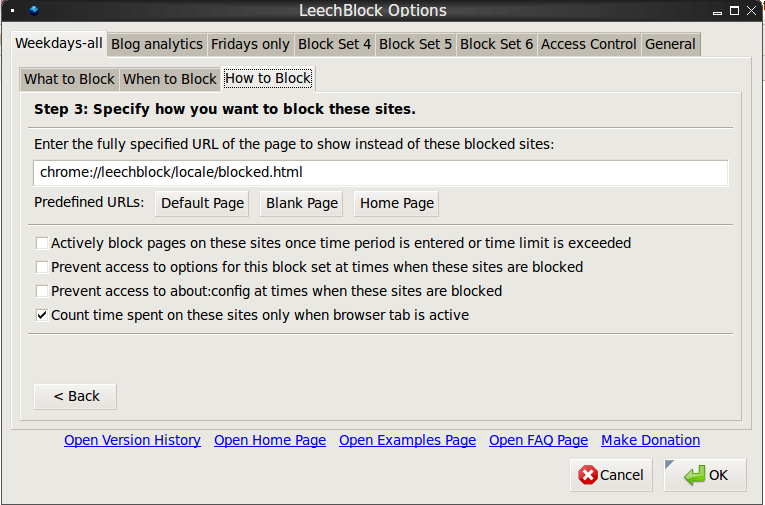 Installed a Firefox add-on known as LeechBlock. It will block browser access to Internet within the time span you select, or for the amount of time you want, and you can set easily exceptions for sites you use in your work. It has helped quite effectively, in fact, when it was "allowed net time" I did not even remember what I used to waste time browsing about. Give it a try, it can greatly improve your productivity while at work, or even more if you work from home. 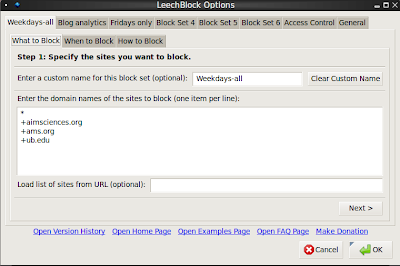 To set up such a block, first of course, install Leechblock (install link for Firefox at mozilla.org) . 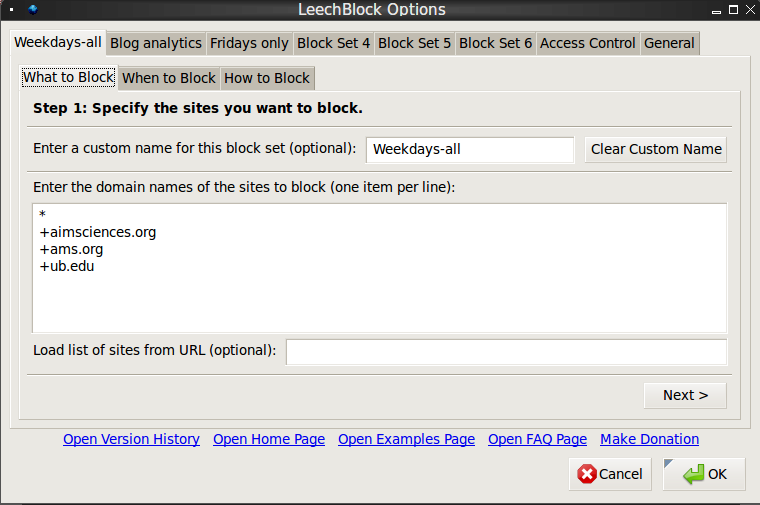 After re-starting Firefox, go to the Tools menu and select LeechBlock->Options. Select the first Block Set, and change its name to something clear. I decided it would be Weekday-all. 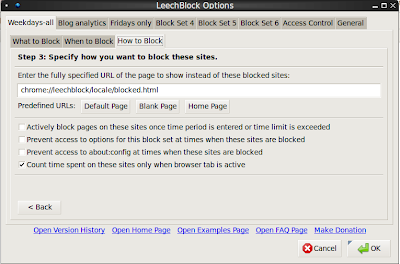 In the What to block tab, start by putting *. This will block all sites. Then start putting sites you wan't to be able to visit by putting +sitename. I need to visit ams.org, thus I enable visiting it, among others. 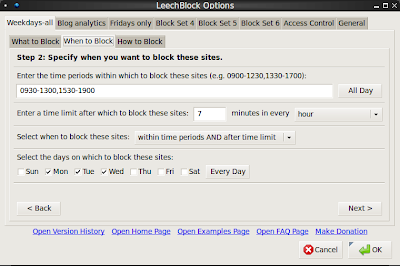 Then in the When to block tab, select the desired days, and write a time span like in my example: 09:30-13:00,15:30-19:00 and select 7 minutes every hour if you want to follow my settings exactly. 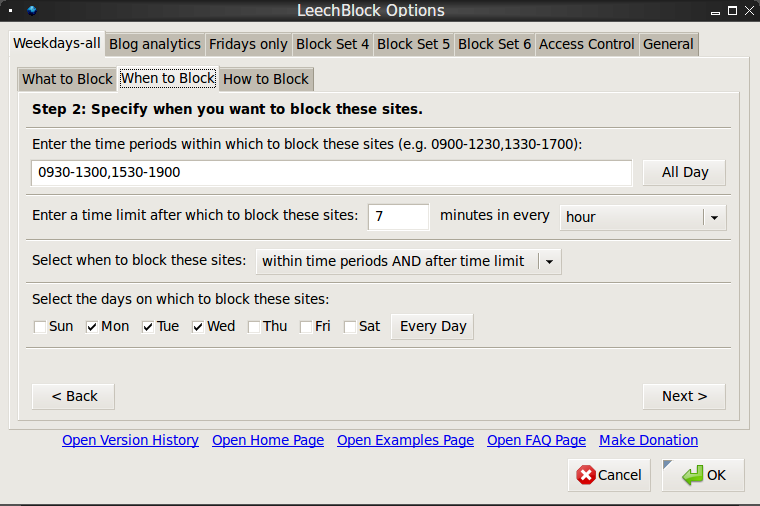 To be able to block only for 53 minutes each hour within this time limits, select within time periods and after time limit in the When to block dropdown. The last tab has some miscellaneous settings. Just be sure you select Count time spent only when browser tab is active. Very important if you use Gmail in your browser as mail system. There is also a Statistics menu in Tools->LeechBlock, showing how much time left you have, how much time you spent browsing and so on. Below you can see a sample (after resetting it prior to running it for a half day). Very important! If you keep your browser open and let your computer sleep or hibernate, the countdown timer will keep running. Be sure to at least open a blank tab or something that won't count, or you will find yourself unable to browse for at least an hour next morning. Enjoy your newfound work hours. What other similar tools are you using to increase your productivity, or at least, reduce your 'procrastinability'?